The late Scott Sipple walking with his dog Straub. Submitted photo. GREG HARPSTER presents a check for $10,000 to three members of VFW on Dec. 18, 2018. Pictured, left to right, are Dan Rhodes, Dennis Brown, Greg Harpster, and Mark Campbell (left to right). 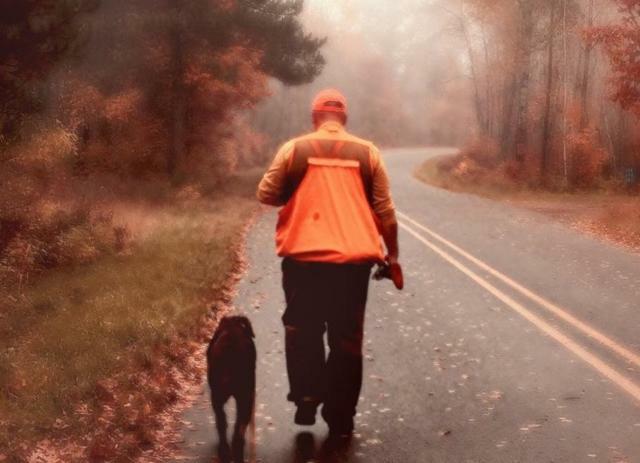 Dressed in a bright orange shirt with his dog Straub by his side and a shotgun in his hand is how those closest to Scott Sipple remember him. A Bellefonte native and State College resident, he was a son, best friend, god father and much more to his community. His unexpected suicide on April 6, 2017, at the age of 49, is what led a group of Sipple’s friends, to start the Scott Sipple Foundation last year. “Something good needed to come from his passing … in his honor, based off the characteristics Scott had, we decided to start the foundation to help people,” Greg Harpster, Sipple’s best friend, said. This foundation supports and provides assistance to organizations and individuals that promote suicide prevention and mental health awareness. It aims to open and further the conversation about mental health and suicide. It also helps and honors the veteran community, which is something that was close to Sipple’s heart and another way he served his community. In 2018, the foundation raised $35,000, which it donated to various organizations. The majority of the money went toward mental health awareness and suicide prevention organizations, said Harpster. Sipple was heavily involved in the veteran community and was a member of the VFW Post 5825. 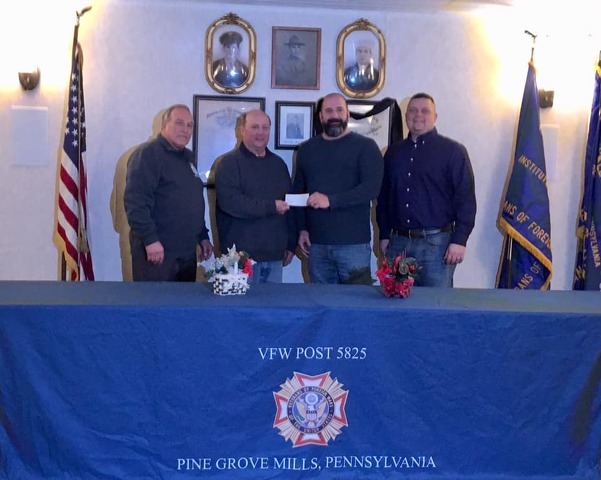 This past December, the foundation made a $10,000 donation to VFW post, which serves veterans and the community of Pine Grove Mills. It gives back in any way it can, ranging from holding events to helping a family in need who calls them. The donation has been added to VFW’s relief fund used to serve the needs of the community. Kimberly Korman, club manager, said Harpster trusted her organization because he knew it would put the money to good use and he knows how many calls it gets from those in need. “Every little thing counts,” she said. Korman is used to being on the giving end of donations due to the nature of her organization. “To be receiving such a donation, I almost wanted to just fall over,” she said. At the request of Harpster, president of the Scott Sipple Foundation, the VFW will use a portion of the money to hold a day of gathering this coming spring for all Centre County veterans as a thank you for their service. Other organizations that the foundation serves are those that work to prevent suicide, provide assistance to the families and friends of suicide victims, create awareness about the importance of mental health and create a safe environment to talk about mental health and suicide. Sipple is also remembered for his sportsmanship. According to his Koch Funeral Home obituary, he was an “avid marksman.” He competed on the University of Tennessee at Martin’s intercollegiate rifle team, could often be found at competitive shoots at the range and loved outdoor hunting. The foundation also honors Sipple’s memory by supporting the shooting sports, natural resource conservation and firearms safety education. Community events are another way the foundation gives back and raises money. There are two upcoming events this spring. Out of the Darkness Centre County Walk is scheduled for Sunday, April 28. This is a fundraiser for the American Foundation for Suicide Prevention (AFSP) to continue its research, educational programs, and continue supporting survivors of suicide loss. The other event is the foundation’s third annual sporting clay shoot on Friday, June 21, which is how the foundation raises most of the money it donates every year. For more information, visit scottsipplefoundation.org. Greg Harpster presents a check for $10,000 to three members of VFW on Dec. 18, 2018. Pictured, left to right, are Dan Rhodes, Dennis Brown, Greg Harpster, and Mark Campbell (left to right). Submitted photo. Kaleah McIlwain is a Centre County Gazette intern. 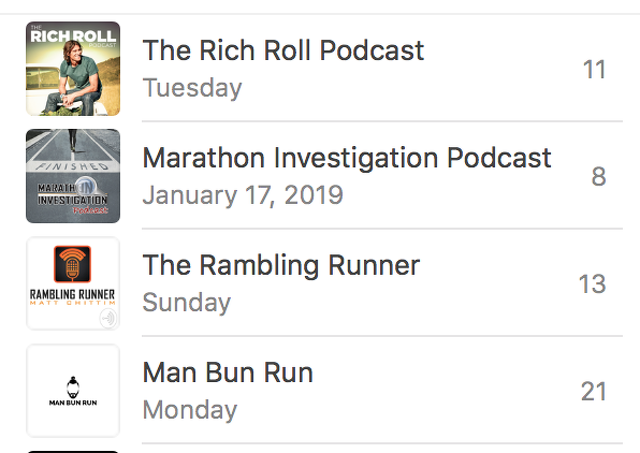 Runners really like running. You’ve probably seen us out running this past month in the snow, ice and cold and wondered what’s wrong with us. Trust me, my wife and kids think the same thing when I walk in the house with beard- and eyelash-sicles. Some of us are training for a goal race while others are running just because.